Here we are again its the middle of the week and I can guarantee cooking inspiration is slowly dwindling away. While getting take away will be an option tempting most of us, lets not forget it is not hard to whip up a simple mid-week meal. All you need is a little bit of inspiration. The key to mid-week meals is keep them simple. Choose one dish that uses a few ingredients and is quick to make. One dish that fits this brief perfectly is ‘Stir Fry’. 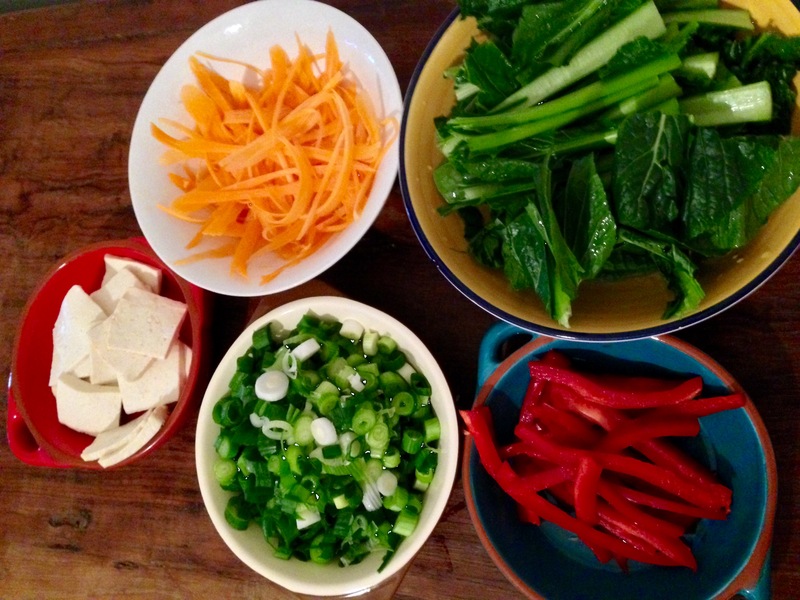 The secret to a good stir fry is don’t put too much all at once in your wok because otherwise the ingredients start to sweat instead of frying, particularly vegetables. 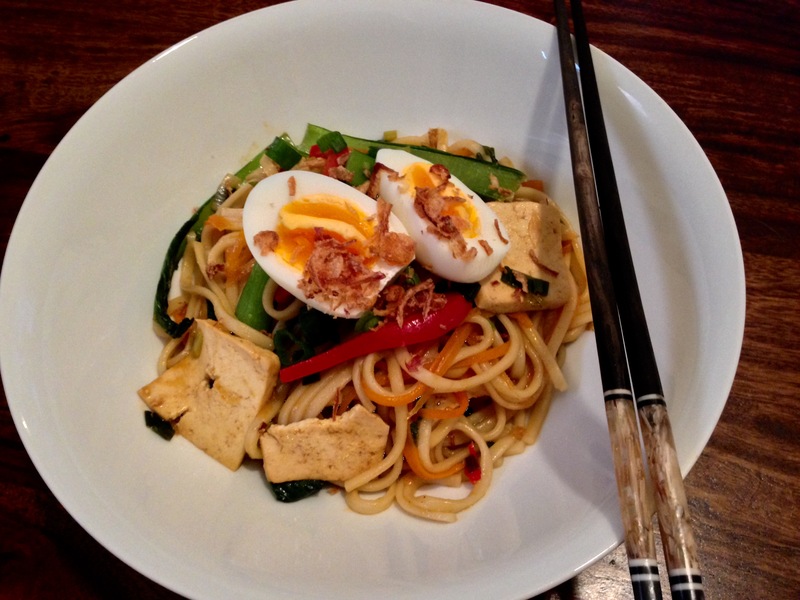 My recipe today is an udon noodle stir fry with vegetables and tofu. Udon noodles are of Japanese origin and traditionally used in soups, but I love their texture and prefer them over other noodles when stir frying. 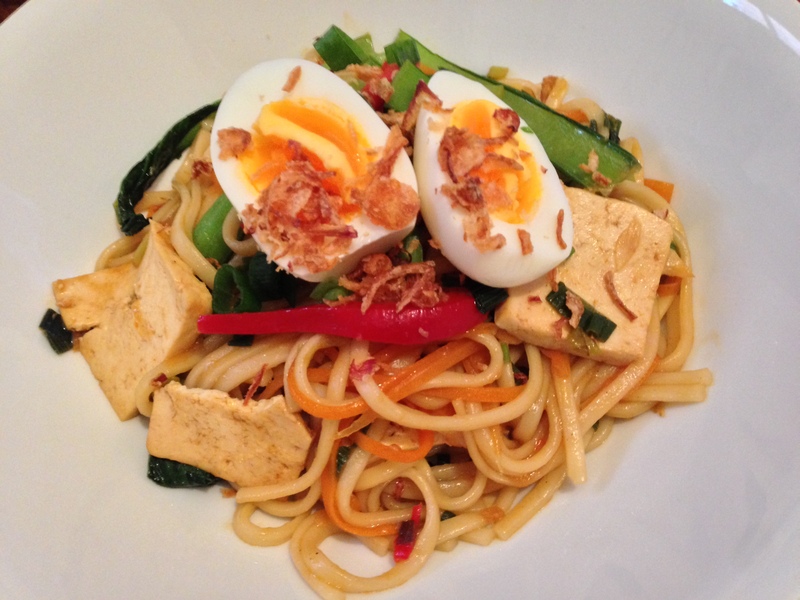 So without further ado here’s my simple mid-week stir fry noodles recipe. To start boil the noodles as per packet instructions and keep aside. 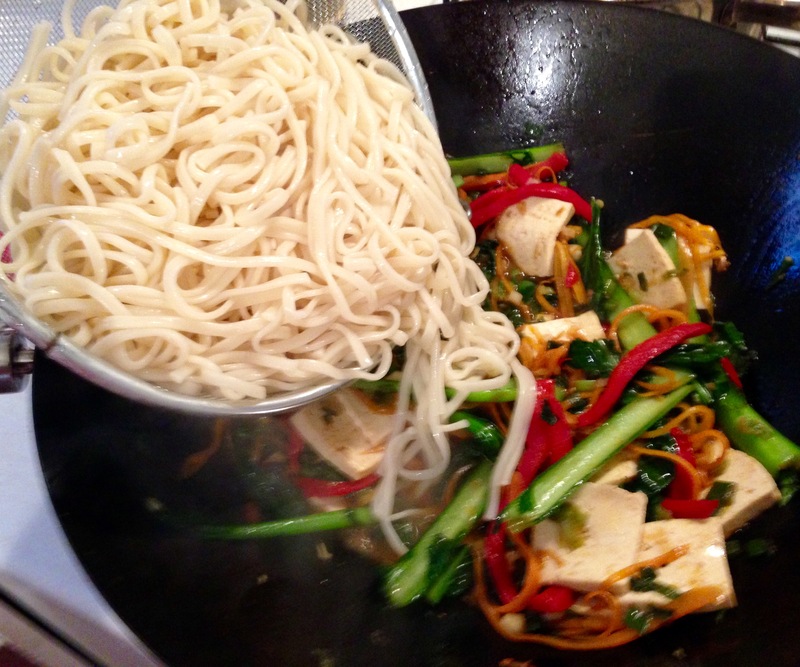 To stir fry, heat a wok on high heat and add oil. Now add the spring onions, garlic and ginger and stir fry until fragrant. Add choi sum stems (you can use any other Asian greens too) stir fry for two to three minutes until bright green or just tender. Now add the choi sum leaves and stir fry until soft. 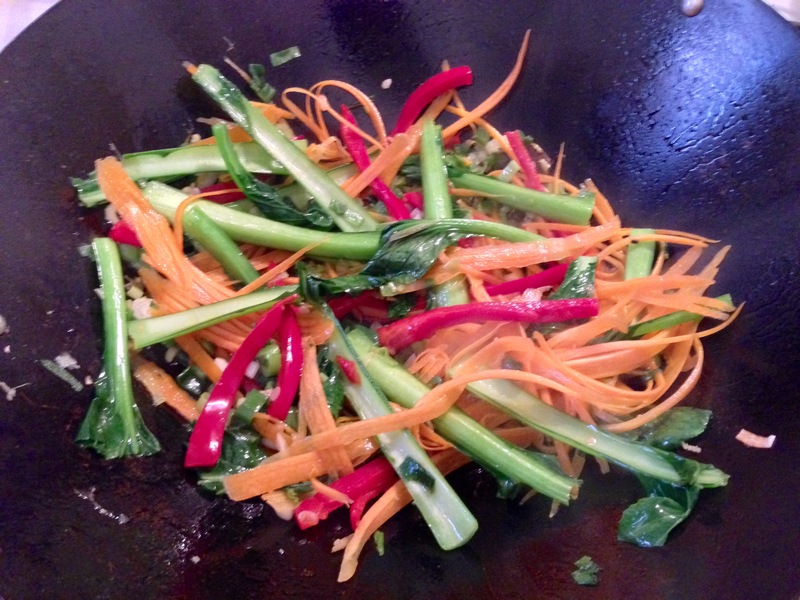 Then add the carrots and peppers and toss the wok to mix all the ingredients. Now add the tofu cubes and all the sauces and give the wok a good toss to evenly coat all the ingredients with the sauce. For my non vegetarian readers, you can replace the tofu with chicken or any other meat. Finally add the noodles, season with salt and toss the wok one last time so all the ingredients are evenly mixed. Plate up the noodles in a bowl and drizzle them with some sesame oil, garnish with crispy shallots and a soft boiled egg if you are craving a little extra protein. There is it! Your lip smackingly delicious and healthy mid-week no fuss meal, this will definitely be a crowd pleaser.